Click on the sections below to find answers. Q: Will the process to develop the 2020-2025 Dietary Guidelines be different from previous processes? A: USDA and HHS plan to add some additional new steps in the process to develop the next edition of the Dietary Guidelines in response to the National Academies’ recommendations, stakeholder feedback, and our commitment to have a transparent, inclusive, and science-driven process. Many of the key steps to develop the Dietary Guidelines will remain. We will have an Advisory Committee. The Committee will review evidence and provide a scientific report to USDA and HHS, and USDA and HHS will then develop the Dietary Guidelines. Revisions to the Dietary Guidelines will be informed by the scientific report from the Committee and consideration of Federal agency input and public comments. Look for future announcements about the Dietary Guidelines on our website at DietaryGuidelines.gov. Q: Can you provide a timeline of the process to develop the 2020-2025 Dietary Guidelines? A: The Departments announced the members of the 2020 Dietary Guidelines Advisory Committee (see Press Release) in February 2019. The Committee will hold its first meeting March 28 and 29, 2019 (see Federal Register notice) and initiate its review of evidence, which will conclude with a scientific report in 2020. Our goal continues to be to release the Dietary Guidelines by the end of 2020. A: The 2020 Dietary Guidelines Advisory Committee will hold its first public meeting on March 28 and 29, 2019 and initiate its independent, science-based review of specific topics and supporting scientific questions related to nutrition and health from birth into older adulthood. It will meet approximately five times; all Committee meetings will be open to the public. Additionally, the public will be encouraged to submit public comments throughout the course of its operation. The Committee will develop a scientific report that will be submitted to the Secretaries of USDA and HHS. Upon delivery of its report to the Secretaries or when its 2-year charter expires (whichever comes first), the activities of the Committee will be terminated. Q: What steps are USDA and HHS taking to create a more rigorous scientific process as recommended by the National Academies? Promote diversity of expertise and experience. Manage biases and conflicts of interest. Adopt state-of-the-art processes and methods. USDA and HHS support these values and will continue to integrate steps to address these goals. For the first time, the Departments identified and asked for public comments on the topics and scientific questions to be examined in the review of the evidence supporting the development of the upcoming 2020-2025 edition of the Dietary Guidelines. The Departments added this step in order to promote a deliberate and transparent process, respond to feedback on the Dietary Guidelines development process, identify the expertise needed on the Committee, help manage resources, and ensure the science-based review provided by the Committee addresses Federal nutrition policy and program needs. For more information, see our page regarding the National Academies’ recommendations. Q: Will there be opportunities for public participation in the Advisory Committee’s review of the evidence? A: Yes, there will be multiple opportunities for the public to participate in the Advisory Committee’s work. Starting on March 12, 2019 and lasting throughout the Advisory Committee’s deliberations, expected to end in 2020, the public can submit comments to the Advisory Committee (see FRN). Additionally, the public is welcome to attend – in person or via webinar – all of the Advisory Committee’s public meetings. The first meeting will be held on March 28 and 29, 2019. Registration will open March 19, 2019 on DietaryGuidelines.gov. We strongly encourage the public to stay engaged and participate in the Dietary Guidelines development process. Announcements will be made at DietaryGuidelines.gov, via the Federal Register, and through our list serv. For more information on opportunities for public participation related to the Advisory Committee’s review, see our page on this topic. Q: How do I submit a nomination for the 2020 Dietary Guidelines Advisory Committee? 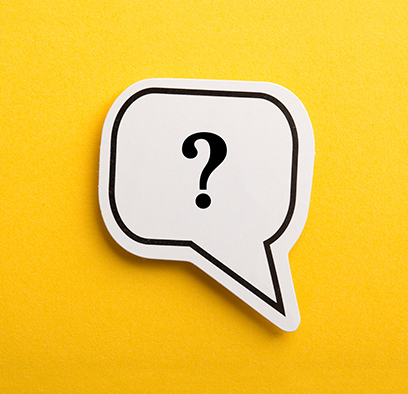 A: The public call for nominations to the Advisory Committee was open from September 6 to October 6 and the Departments announced the members in February 2019. See the list of members here. Q: What was the process USDA and HHS used to establish the Advisory Committee, including assessment of conflicts of interest? A: The process used to establish the Advisory Committee included review of complete nomination packages by program staff from USDA Food, Nutrition, and Consumer Services (FNCS), the USDA Research, Education, and Economics (REE), and the HHS Office of the Assistant Secretary for Health (OASH); evaluation of nominees by leadership from USDA/FNCS, USDA/REE and HHS/OASH; vetting by the USDA Office of the Secretary; and review by the USDA Office of Ethics. All individuals considered to serve as members of the Advisory Committee completed a Confidential Financial Disclosure Report (the OGE Form 450) prior to being appointed, which was reviewed by UDSA’s Office of Ethics (see letter). Members of the Committee were jointly agreed upon by the Secretaries of USDA and HHS. The Advisory Committee will receive ethics training on an annual basis. Factors considered in selecting individuals to serve on the Advisory Committee included educational background, professional experience, and demonstrated scientific expertise in the issues to be examined by the Committee, as well as statutory obligations under the Federal Advisory Committee Act and requirements regarding a balanced membership. This process is described further at Learn How USDA-HHS Established the Advisory Committee. Q: What steps are USDA and HHS taking in response to the National Academies’ first report on the Advisory Committee selection process? A: The National Academies’ first report on the Advisory Committee selection process included four recommendations. USDA and HHS carefully considered each recommendation for establishing the 2020 Dietary Guidelines Advisory Committee, including consideration of Federal statutes, regulations, and guidance, and provide responses to the recommendations on our website. USDA and HHS are considering recommendations from the second report throughout the multi-year process of developing the 2020-2025 Dietary Guidelines for Americans. Q: What factors were considered in selecting the Advisory Committee? Q: Will there be a separate Advisory Committee to address the topics of pregnancy and birth to 24 months? A: No. There is one 2020 Dietary Guidelines Advisory Committee to address nutrition from birth into older adulthood. This allows for an efficient review of the scientific evidence across the lifespan. We have allowed for a larger committee (up to 20 members) anticipating that more members are needed to address the additional topics related to pregnancy and birth to 24 months. Time and resource constraints also prevent the establishment of a separate Advisory Committee. Q: Did you consider non-U.S. nominees? A: We accepted all nominations per the Federal Advisory Committee Act, which does not limit nationality. However, it was decided that the Advisory Committee members selected to examine topics and questions to help inform the Departments’ development of the Dietary Guidelines for Americans should be U.S. citizens, as the Guidelines’ purview and implementation is only in the United States. We do appreciate the nominations and, if appropriate, the Committee may invite guest speakers of any nationality if the individuals bring relevant scientific expertise in any of the topic and question areas provided to them. Q: When is the first meeting of the 2020 Dietary Guidelines Advisory Committee? A: The Advisory Committee will hold its first meeting on March 28, 2019, from 9:00 a.m.-4:30 p.m. and March 29, 2019, from 8:30 a.m.-3:00 p.m. Registration to attend in person or via webinar will open March 19, 2019 on DietaryGuidelines.gov. Webinar registrants will receive webinar information prior to the meeting. For in-person registrants, the meeting will take place at the U.S. Department of Agriculture, South Building, Jefferson Auditorium, 1400 Independence Ave., S.W., Washington, DC 20250. Q: How can I participate in the Advisory Committee review process? May I submit public comments to the Advisory Committee? A: We welcome and encourage the public to participate in the Advisory Committee’s review process in two ways: (1) Submit public comments to the Advisory Committee at any point during their public comment period starting on March 12 and lasting throughout their work, expected to end in 2020. (2) There also will be opportunity for oral testimony to the Committee at two public meetings (dates to be scheduled). We encourage people to attend the meetings and follow the Committee's work at DietaryGuidelines.gov. Q: How many meetings will the Advisory Committee hold? A: The Advisory Committee will hold approximately five public meetings. All Committee meetings will be open to the public. Additionally, the public is encouraged to submit public comments starting on March 12, 2019, throughout the course of the Committee’s work, expected to end in 2020. Q: What is a charter, and where can I find the charter for the 2020 Dietary Guidelines Advisory Committee? A: A charter is a document that is required by law to establish a Federal advisory committee. Information about the 2020 Dietary Guidelines Advisory Committee charter, including a copy of the charter, can be found at Review the Charter for the Advisory Committee. Q: Will the Advisory Committee be able to examine topics and questions beyond those identified by the Departments? A: The Advisory Committee will limit its review and advice to dietary guidance for human nutrition on the topics and scientific questions specified by the Departments. The Departments went through a public process to identify the topics and scientific questions to be examined in the review of the evidence that will support the development of the 2020-2025 Dietary Guidelines. The list of topics and questions reflects nutrition issues that are relevant, important, and potentially impactful to Federal nutrition policy and programs and are not currently addressed through other Federal efforts. Q: Why does the 2020 Dietary Guidelines Advisory Committee only have co-executive secretaries from USDA, not from USDA and HHS? A: Recent Dietary Guidelines Advisory Committees have had co-executive secretaries from both USDA and HHS. There have been legally required changes in the 2020 Dietary Guidelines Advisory Committee charter in response to an issue raised by the Government Services Administration Committee Management Secretariat, the Federal entity that is responsible for all matters relating to Federal advisory committees. (5 U.S.C. App. 2 § 7(a)). Section 708, of the Consolidated Appropriations Act, 2018, a Government-Wide provision, prohibits the interagency financing of advisory committees. Additionally, the Federal Advisory Committee Act requires that only one agency may be responsible for support services at any one time, even if the advisory committee reports to more than one agency (5 U.S.C. § App. 2 § 12(b)). For these reasons, the co-executive secretaries for the 2020 Dietary Guidelines Advisory Committee are from USDA. Per the National Nutrition Monitoring and Related Research Act, USDA and HHS will continue to work collectively on the Dietary Guidelines for Americans. Q: Why have you added a peer-review step to Nutrition Evidence Library (NEL) systematic reviews conducted by the Advisory Committee? A: The Departments added a peer-review step in response to recommendations from the National Academies and stakeholder input; additionally, peer-review is a best practice for conducting systematic reviews. Additional information related to the Advisory Committee’s review, including our responses to other recommendations from the National Academies, will be provided after the Advisory Committee is established and initiates its review. Q: Will the Advisory Committee be able to use consultants? A: No. The primary purpose of consultants is for an advisory committee to bring in specific expertise that the committee does not have among any of its members. Identifying topics and scientific questions before establishing the 2020 Dietary Guidelines Advisory Committee – a new step to the process – allowed the Departments to appoint members with relevant expertise related to the topics to be examined. The 2020 Advisory Committee’s charter allows for more members than previous years to accommodate additional expertise needed. Q: Will the Advisory Committee be compensated for its work? A: No, members of the Advisory Committee will serve without pay. Reimbursement for travel and hotel expenses to attend in-person meetings is provided, including per diem. Q: Why did USDA and HHS identify topics and scientific questions before establishing the Advisory Committee? A: The Departments identified topics and scientific questions to promote a deliberate and transparent process, respond to feedback on the Dietary Guidelines development process, identify the expertise needed on the Advisory Committee, help manage resources, and ensure the scientific review conducted by the Committee addresses Federal nutrition policy and program needs. It is considered a best practice and in accordance with the Federal Advisory Committee Act for appointing Agencies to describe to the Committee the advice it is seeking. Q: What was the process USDA and HHS used to review and consider the public comments on the topics and scientific questions? Relevance: Topic is within the scope of the Dietary Guidelines. The focus of the Dietary Guidelines is food-based recommendations; changes to the Dietary Reference Intakes are not within the scope of the Dietary Guidelines. Clinical guidelines for the medical treatment and care of individuals with specific diseases and conditions are not included in the Dietary Guidelines. Importance: Topics for which there are new, relevant data and that represent an area of substantial public health concern, uncertainty, and/or a knowledge gap. Potential Federal Impact: Probability that guidance on the topic in the Dietary Guidelines would inform Federal food and nutrition policies and programs. Avoiding Duplication: Topic is not currently addressed through existing evidence-based Federal guidance (other than the Dietary Guidelines). Q: How does having the topics and questions in advance inform the Advisory Committee’s work? A: The Advisory Committee will be established to conduct an independent, science-based review of specific topics and supporting scientific questions related to nutrition and health from birth into older adulthood. These topics and questions were identified by USDA and HHS with consideration of public and agency comments. These topics were prioritized based on relevance, importance, potential Federal impact, and avoiding duplication. The Advisory Committee will limit its review and advice to dietary guidance for human nutrition on the topics and scientific questions specified by the Departments. Q: What are the Dietary Guidelines for Americans? A: The Dietary Guidelines are the cornerstone of Federal nutrition policy and nutrition education activities, providing food-based recommendations to promote health, help prevent diet-related disease, and meet nutrient needs. USDA and HHS jointly publish the Dietary Guidelines every 5 years. Q: How are the Dietary Guidelines used? A: Relied on by Federal agencies, the Dietary Guidelines serve as a central source of guidance that nutrition programs within the government can use to inform their food and nutrition programs and initiatives while tailoring their efforts for their specific audiences, like women and children. The Dietary Guidelines also support the development of science-based nutrition education messages and consumer materials for the general public, as well as for special audiences. Additionally, outside organizations and companies use the Dietary Guidelines in the private sector. Q: Why are the Dietary Guidelines being updated? Why are they updated every five years? A: The Dietary Guidelines were first released in 1980. In 1990, Congress passed the National Nutrition Monitoring and Related Research Act, which mandates in Section 301 that USDA and HHS jointly publish the Dietary Guidelines every five years. The law requires that the Dietary Guidelines are based on the preponderance of current scientific and medical knowledge. The 2015-2020 Dietary Guidelines is the current edition until the next edition is released.